Are you looking for acoustical solutions which will not just provide excellent sound absorption but at the same time contribute towards architectural interest of your setting? 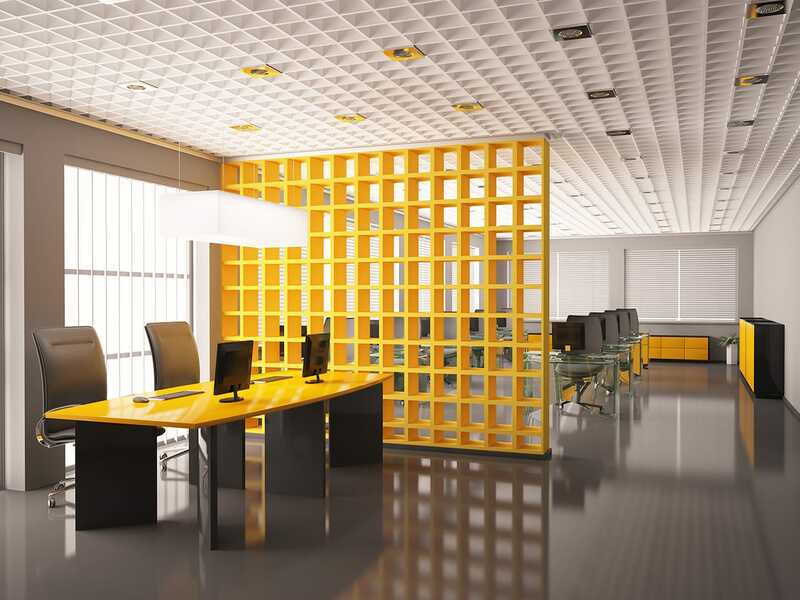 If yes, then here is something which will add visual interest along with noise reduction to the ceiling of your space – our range of CSI acoustical net. Whether you’re looking to add a sense of drama in your residential or commercial space or want to reduce unwanted noise, these acoustical net canopies will simply light up your setting. A great way to improve acoustical performance of your space and at the same time mask flaws of your ceilings in style, these CSI acoustical net canopies will make your setting highly appealing till times to come. Acoustical solutions which can be suspended from ceilings or can be rested on top of modular wall systems, our acoustical nets will bring a chic look and feel to your space. Available in a range of colors, styles, sizes, patterns, finishes, thickness and noise reduction coefficient (NRC) ratings, we have acoustic nets which are effective sound control solutions and ones which will give your highly interesting architectural space without any hassle. Perfect for installation in residential spaces and commercial spaces including schools, theatres, offices, hospitality spaces, retail, airports, studios, gyms, swimming pools, auditoriums, healthcare facilities, places of worship, conference rooms and others, these acoustical ceiling solutions will bring a brilliant personality and character to the setting. Crafted from premium quality materials, our CSI acoustical nets have a highly appealing and delightful look and will bring an effective acoustic performance to the setting. Easy to use, clean and maintain, our sound absorbers are lightweight, durable, free of harmful substances and chemical irritants and will give your space a highly exceptional acoustic performance. Trendy design which will add flow, color, style and elegance to your setting, these acoustical net canopies will also bring an excellent acoustical balance to open environments. Bring them in your residential or commercial space and be ready for a barrage of compliments.